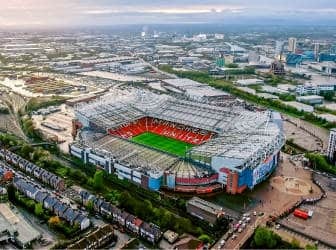 We’re ideal for both leisure, business travellers and match day fans home or away, as we’ll make sure that you’re never out of touch during your stay with amenities such as free Wi-Fi in public spaces! 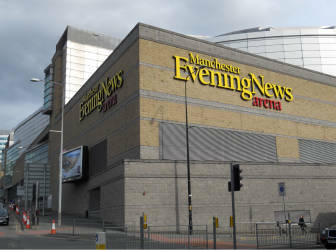 We’re also connected to the best of what the city has to offer, as the Manchester Arena, Victoria train station and the Arndale Centre are all within three minutes’ walk. Piccadilly train station is just ten minutes’ walk, but we’re also in the perfect place to take advantage of the wider transport network such as the trams, which can easily and conveniently ferry you around from our hotel to where you need to go. No-one ever said cheap hotels in Manchester had to be secluded, after all! that both Selfridges and Harvey Nichols have stores directly opposite us, with a vast selection of other shops and outlets scattered closely about just waiting to be discovered! 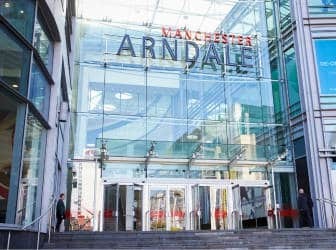 The main shopping area of Manchester is within reach of the Hotel, Bar & Restaurant, so you’ll never have to go far for anything you need. 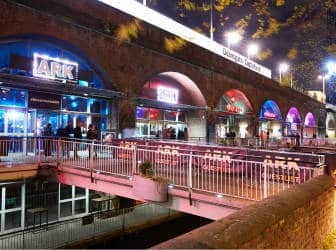 We are pleased to partner with Q-Park Deansgate North. Our guests can park for up to 24 hours for only £10. 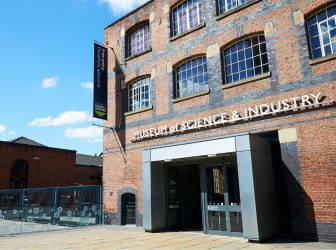 Please ask at reception for a validation ticket and click Q-Park Deansgate North for directions and further information. We also make sure that we’re one of the best cheap hotels in Manchester to receive you even if you’re looking to stay in your own room. All guest rooms are well equipped with television, direct dial telephone and facilities for making tea and coffee, and despite the traditional styling of our exterior we’ve made sure everything is as modern as can be on the inside. 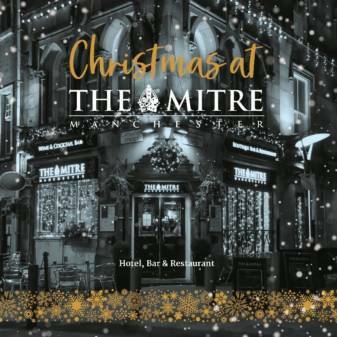 The Mitre Hotel, Bar & Restaurant was established in 1815, and still retains several of it’s period charms. 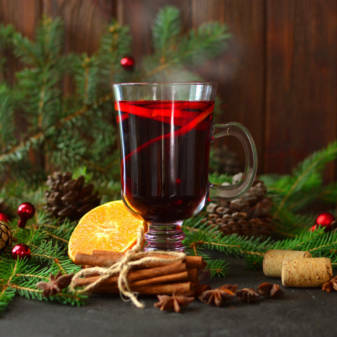 We also have a restaurant and bar which has benefitted from a full refurbishment completed in 2018 serving a top quality selection of food and drink to suit every taste. Our front desk is open twenty-four hours a day, so contact us or come on down if you’ve been looking for cheap hotels in Manchester able to provide a luxurious stay no matter what your budget might be! 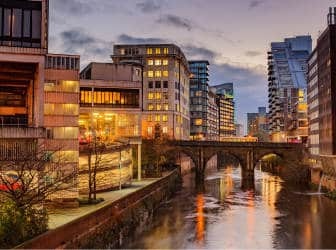 Why are you visiting Manchester?